“Tale as old as time”. In 1946 French artist, playwright, and filmmaker Jean Cocteau brought a classic of storytelling to stunning, visionary life. 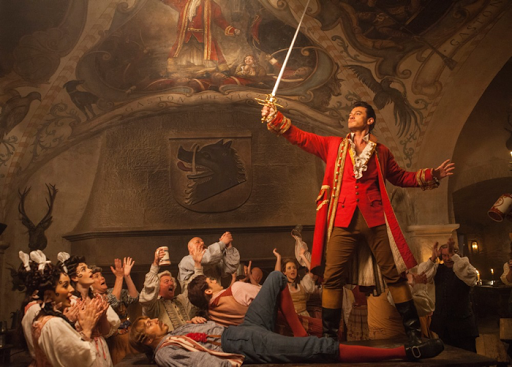 “Beauty and the Beast” has since been retold and reimagined, though it wasn’t until 1991 that a film would come close to matching the magical quality of Cocteau’s film. Disney animation crafted a children’s musical that would become a beloved staple for a generation of young people. Director Bill Condon, “Mr. Holmes” and “Dreamgirls”, adapts the Disney animated film in near shot-for-shot fashion, lovingly recreating many of the moments fans will remember from the classic animation. Add a group of talented live action actors, computer generated household items like the candelabra “Lumière” and the teapot “Mrs. Potts”, and a digitally composed beast, and it would seem like all the pieces are present to make another beloved film for a new generation. 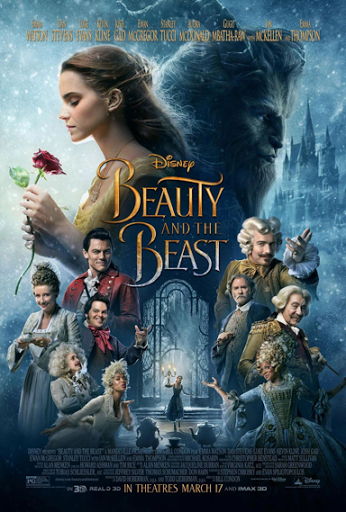 To a large extent this rendition of “Beauty and the Beast” works just fine, supplying enough uplifting tunes and beautiful imagery to arouse a sense of nostalgia or make you forget that you’ve seen this film many times before. Emma Watson plays the confident Belle with wit, charm, and tenacity. Belle has always been one of the more interesting of the Disney princesses, a maturing girl raised by her father in a village that she has outgrown. Her escape ultimately comes in the form of a capture. Ms. Watson fits the role perfectly, her look and handling of the character’s defining qualities, the empathy and intelligence especially, is the glue that holds the film together. Dan Stevens plays the Beast, a performance composed with a motion capture suit that is then transformed digitally into the towering, roaring monster. This method works half the time, mostly when Ms. Watson is there to support and react to the performance. Whenever the Beast is left to portray dramatic moments, and sing on a few occasions, some of the digital seams are revealed and the emotion that should come through, as it did with the beautiful performance by Jean Marais in Jean Cocteau’s film over 70 years ago, is lost. Still, Mr. Condon builds such a spectacle of song and dance that even a talking pot, voiced by Emma Thompson who accomplishes the giant charge of replacing Angela Lansbury, and a mannerly candelabra, voiced by Ewan McGregor and tasked with singing “Be Our Guest”, are provided opportunities that will undoubtedly sweep the viewer into all the fun. As for all the controversy that has produced anger and boycotts from different groups, these scenes are so minuscule, so slight, so simplistically woven into minor moments in the film that unless you go into this film specifically looking for controversy, you will hardly recognize it. For a film that displays a character living in a world that attacks difference, it seems so foolish to think that some viewers wouldn’t recognize the moral of the journey of Belle, which is empathy, acceptance, and knowledge above all can change anything. 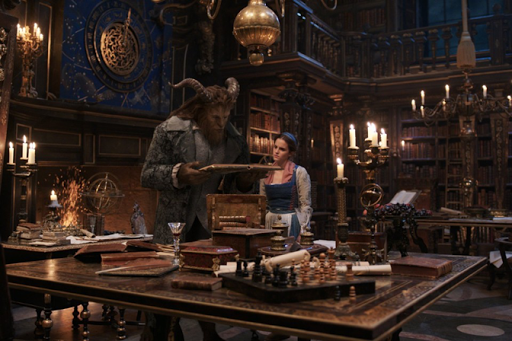 “Beauty and the Beast” spends more time, over two hours, building a display of lavish digitally composed atmospheres than it does trying to establish a better narrative or deeper connections to the interesting characters found in this fairytale. Still, the loyal and dutiful allegiance to the original animated feature may be enough to overlook the blemishes.